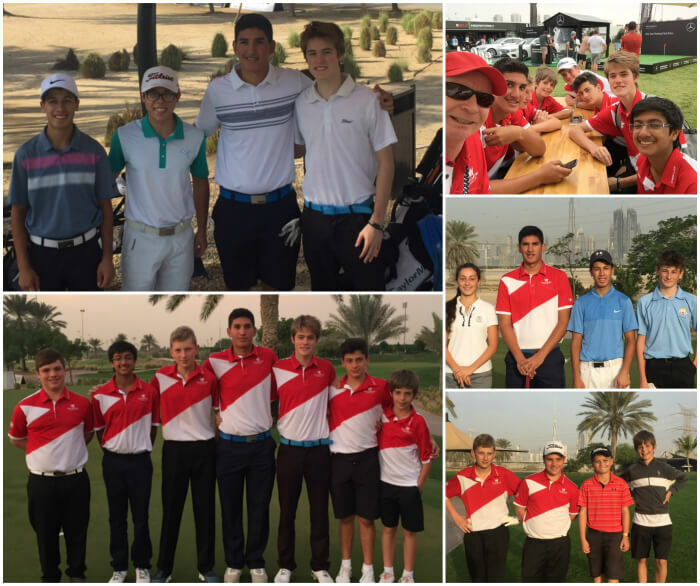 On the 31 January, seven members of the St Christopher’s Golf team and their Golf Co-ordinator Mr Hobday travelled to Dubai to compete in the BSME Golf Championships. 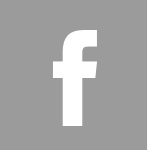 The weekend was again a huge success with the team coming away with a total of four prizes and having gained a lot of experience. Yaseen Le Falher played remarkably well with Yaseen winning the overall gross category with a score of 105 gross on 27 holes (71, 34 : -3). Following Yaseen’s success, both Sebastian Woodrow and Alex Hopmann dominated their Boys nett section with two impressive scores of 100 (64, 36) for Sebastian ending up winner of his category and with Alex coming third with a score of 102 net (70,32). 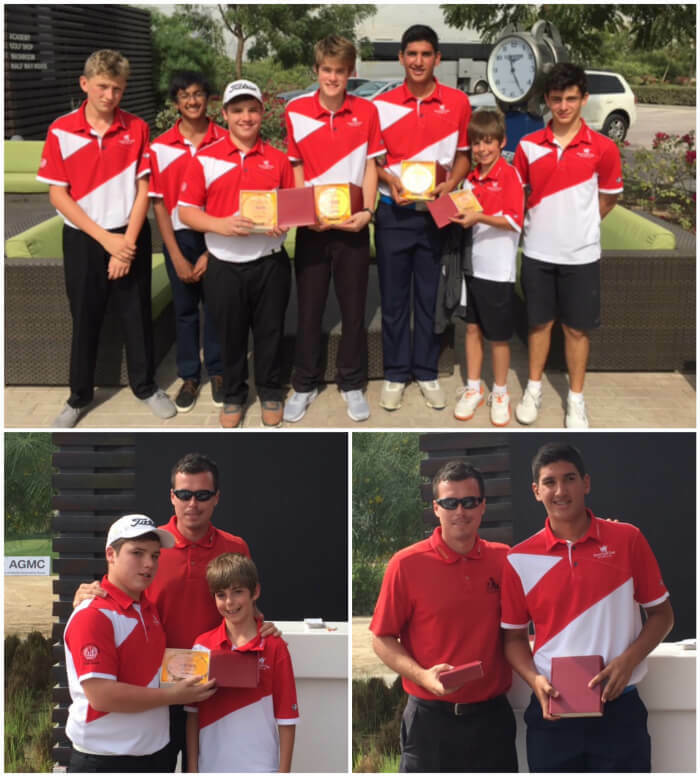 The team, overall, has not only performed remarkably well in the individual categories, but has also achieved and been rewarded in Winner of the BSME Golf Championship with a score of 205 overall net, exceeding BSAK’s (208) and Cairo British School (227). The weekend trip was an amazing experience for all seven players who took part and was a great success overall. 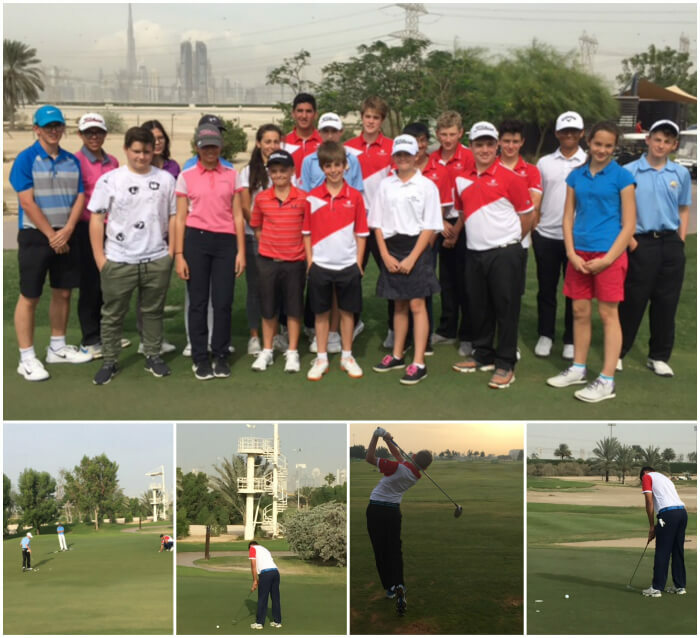 The team are hoping to continue this run of good form and continue to work hard to be prepared for the following planned Championship, Al Ain Faldo Series.